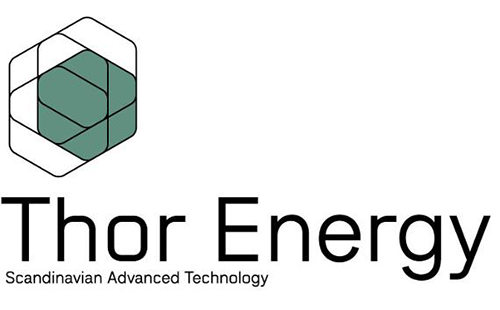 Thor Energy is a Norwegian nuclear fuel technology company that is developing and testing two thorium-bearing fuels for use in existing nuclear power plants. In an effort to qualify these fuels for commercial use, the company established an international consortium to support a 5-year irradiation trial at the Halden test reactor in Norway. The first fuel rods containing “Th-Add” (thorium additive) and Th-MOX (thorium + plutonium mixed oxide fuel) fuel pellets were loaded into the reactor in April 2013. Valuable data (such as centerline temperature) is being continually collected from these fuel specimens as they operate in simulated power reactor conditions. This is used to develop computer codes that verify that these new fuels perform safely – these are a licensing requirement. Thor Energy is working towards obtaining regulatory approval for the commercial production and use of Th-Add fuel by 2017-18, and to market the fuel soon thereafter. It intends to license the fuel designs to one or more major fuel manufacturers. In an effort to qualify these fuels for commercial use, the company established an international consortium to support a 5-year irradiation trial at the Halden test reactor in Norway. In 2013, the first phase of Th-bearing fuel irradiation trials commenced with the introduction of fuel into the Halden test reactor. These test fuel specimens need to reside in the core for 3-4 years and accumulate as much ‘burn-up’ as possible, acquiring structural and chemical changes in the process. In 2014, the test fuel remained ‘in-core’ and operated at power for the whole operating period for the reactor. 2014 was also notable for the construction of a laboratory required to manufacture a second phase batch of thorium-bearing fuel materials – in particular, those containing alpha radioactivity, which needs special ventilation safety systems. This new infrastructure was put in place by our partner, the Institute for Energy Technology (IFE) on their site and it was commissioned in the latter part of 2014. Several fuel manufacturing trials were performed to ensure that all laboratory equipment is working correctly and that stringent specifications could be met. This testing used cerium oxide as a surrogate for plutonium oxide. 2015 will be another eventful, busy and challenging year. More fuel fabrication trials will commence in the alpha laboratory, and this will lead to Th-MOX pellet production, a batch of which will be tested in a second test irradiation phase, which will commence mid-year. The next test rig will include highly instrumented rodlets of commercial prototype Th-MOX fuel pellets, Th-Add pellets, and some other non-Th ‘accident tolerant fuel’ (ATF) specimens. Further to its irradiation testing program, Thor Energy is beginning to apply its fuel knowledge towards the development of other ATF variants. Lastly, Thor Energy and several utilities from North America and Europe are initiating feasibility studies to investigate the use of Th-Add fuel in commercial reactors. This fuel is sought after as a means to improve power profiles within commercial reactors.